During our layover at the Miami Airport, we ordered breakfast at a small restaurant. After we had been served our eggs, bacon, and fruit, the chef came up to me with a small dish of smooth green sauce. “Would you like some chimichurri with your meal?” he asked smiling. “Oh, no thank you,” I replied. “Oh well, thank you. I will try some,” I said as smiled back at him. He stood by the table and watched me. As soon as I tried some, I felt my whole face light up because it was incredibly delicious. The chef saw the look I had on my face and walked away with a content smile. 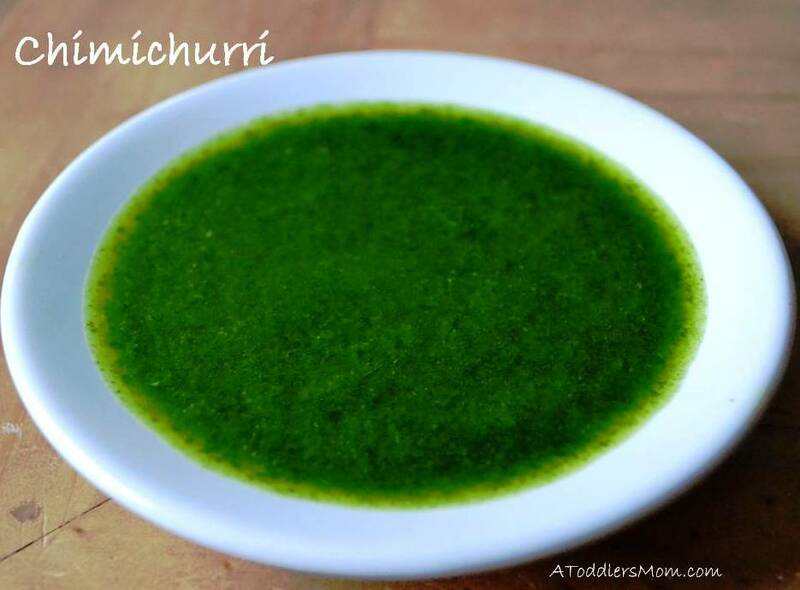 Ever since my first experience with chimichurri, I have been trying to recreate the recipe, but I just can’t seem to make it as sumptuous as the chef from Argentina made it. However, we still enjoy having it with our meals because not only is it tasty, but we also enjoy all of the health benefits of fresh parsley and olive oil. Blend together in food processor. Keep in fridge until ready to serve. Enjoy with eggs, meat, or fish. Sounds yummy!!!!! So excited about your lovely blog!!! Can i share it with two friends whose kiddos have allergies? Yes, of course! I would be honoured! Thank you for sharing!